As wholesale lubricant distributors we work alongside industries that can be pretty rough on their equipment, and nothing accelerates wear and tear on heavy machinery more than product contamination from particles grinding and gumming up your engine components. Macro-sized rocks, dirt and dust are destructive agents, but microscopic contaminant particles are the real menace to your lubricant-related equipment and the key culprits in equipment failure. Contamination from harmful particulates is often the catalyst for oxidation, affecting the integrity of lubricants and other fluids and potentially shortening drain intervals. By employing some or all of the suggestions highlighted below you can minimize wear, extend the life of your equipment and maximize productivity, saving your fleet both time and money in costly repairs and unnecessary downtime. In an effort to reduce the risk of product contamination in your lubricating products, manufacturers, distributors and operators should maintain product integrity at all stages of development – refinement, packaging, transportation and administration. 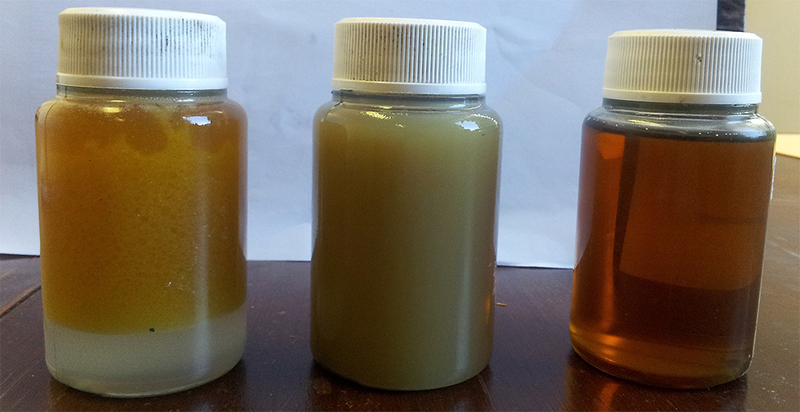 At any point throughout the lifecycle of a lubricant product contamination is possible through improper handling and storage, whether you’re dealing with hydraulic fluid in a tractor or DEF in a long-hauler. To prevent contamination and to protect your engine from damage, start with clean equipment, clean containment and certified clean lubricant products. Clean Equipment – By keeping your equipment exterior clean you’re able to see cracks, leaks and other forms of damage – helpful when diagnosing problems. Removing residual oil, grime, sludge and dirt from your equipment surface makes it that much easier to prevent product contamination such as oil and hydraulic fluid becoming contaminated by unwanted debris. Clean Containment – Before you pump or transfer product into an above or below ground storage tank, reservoir or barrel, make sure your containment vessel has been properly cleaned and that all seals and valves are intact to avoid exposure to air and foreign substances. New product can be compromised in seconds if placed into a tank with residual particles that have settled to the bottom. These residual particulates are agitated and solutionized when new product is added, allowing for the contamination of your product and the potential damage of your equipment. Certified Clean Lubricant Products – When it comes to your most expensive equipment, choosing clean products made by respected manufacturers and transported by reputable distributors is essential. To prevent contamination, run only certified, clean products that meet or exceed manufacturer ISO specifications. Deliveries should be certified to meet OEM ISO cleanliness codes. If they aren’t, don’t accept them because specifications on OEM ISO cleanliness are set in place to protect and maximize product health and productivity, as well as the life of your equipment. With proper filtration at the time of an initial fill you can prevent contamination right at the source, removing microparticulates that can cause your equipment to degrade and corrode. Depending on the product, understanding the micron level to which you want to filter is important so that you remove unwanted contaminants such as sand, gravel, silicon, dirt, dust, atmospheric elements, metals and minerals while leaving essential additives like potassium and zinc. Equipment manufacturers will specify what micron level they require for optimal lubricant and product filtration, offering an ISO Solid Contamination Code to remain in compliance with warranty specifications. With the extensive amount of rain the state of California received over the past 6 months, water contamination is a huge factor when it comes to maintaining the integrity of your products and the health and longevity of your equipment and machines. Preventing moisture from affecting hydraulic fluids and lubricants is important because water can cause rust, corrosion, varnish formation, oxidation, hydrolysis and sludge within your equipment. Keep product containers properly sealed and placed securely in an area that will not expose them to unnecessary levels of moisture. If you suspect that your products may contain unacceptable levels of moisture and/or water, contact an SCL consultant about administering the proper testing. In a wide range of industrial sectors, if there’s metal touching metal, oil is involved. At SCL, we’re here to protect and optimize the machines that keep our country moving and we pride ourselves on providing superior logistics and solutions, extensive product and industry knowledge, and total performance satisfaction for our customers. Call your SCL consultant today for more information on how to prevent and protect your inventory, your machines and your equipment from product contamination, because taking equipment offline to perform unexpected repairs as a result of contamination can be devastating to productivity and your budget.